When festal Vespers are served jointly with Matins, they are called the "All-Night Vigil." Small Vespers are generally not served independently, but only on those days when the All-Night Vigil is served, and is served sometime before it. Daily Vespers are, more often than not, served on all weekdays. Great Vespers are served on the eve of feast days and other special days over the course of the liturgical year. Let us now do an overview of the basic Daily Vespers. Festal Vespers contain certain things that Daily Vespers do not. Small Vespers are a kind of abbreviation of Daily Vespers ‒ much is omitted that is otherwise included in the Daily Vespers. It recently occurred to me that perhaps my memory had failed me, when I saw an audio recording of a Ledkovsky choir with the label "Bless the Lord, O my soul," composed by me, and further labeled "Psalm 104," when I know that it is Psalm 103, not 104 as written on the tape. This psalm is a long one. Therein David described God’s omnipotence and wisdom in the creation of the world with bright, wonderful verses. Those who had been to Mt. Athos, not recently, but in the good old days, spoke about how, for instance, when they were in some monastery on the eve of that monastery’s patronal fest day, they would append an early Liturgy to their Vigil. This would occupy 12 to 14 hours without a break to leave the church. In addition, they told me, "Bless the Lord, O my soul," the Proemial Psalm, would be sung over the course of an hour and fifteen minutes, because a soloist (the choir’s leader or director) would chant each verse, then echoed by the choir. The choir leader would sing: "O Lord my God, Thou hast been magnified exceedingly," the choir would repeat, and so on. And this whole long psalm would be sung twice, once by the choir leader and again by the choir. And so, in the unhurried chant of the monastery, this would occupy an hour and fifteen minutes. By the way, I read a history once of some pious landowners, who loved to attend church and stood through long cathedral services, once went, rather than to Mt. Athos, to the Optina Hermitage. In Optina, as in many of our monasteries, there are no long services such as those on Mt. Athos. But the services were very long, served according to the Typikon. The landowners arrived with their families, went to the Vigil and there they were grandly singing "Bless the Lord, O my soul." They stood with some difficulty until "Lord, I have cried" and then went to sleep. They slept some and then arose, decided to return to church, and arrived for the Polyeleos. They stayed for the Polyeleos, venerated the icons and returned to bed. When the service is a daily, weekday service, then this psalm is read. It is sung at Great Vespers on a feast, otherwise it is only sung at the All-Night Vigil. The psalm is ended. Next we have the Great Litany, or the "Litany of Peace." Why is it called this? – Because it speaks much of peace. The first three petitions: "In peace, let us pray to the Lord," "For the peace from above," "For the peace of the whole world." The litany is ended. According to the Typikon, during Daily Vespers, with rare exception, one kathisma is read. It is read almost nowhere. It is read in monasteries, but in churches it is almost never read, although it is indicated. After the kathisma is the Little Litany, which is an abbreviation of the Great Litany, its beginning and end. After that is the prayer sung at every Vespers service, taken from the order of the Old Testament Temple: "Lord, I have cried unto Thee, hearken unto me, hearken unto me, O Lord." – the words of the psalm, followed additionally by: "Let my prayer be set forth as incense before Thee." How do you interpret these words? What does, "Let my prayer be set forth" mean? I ask because often the words "set forth" are misunderstood or even taken for another meaning. The prayer has ended; the wording here refers to the consummation, the fulfillment, of the prayer. "Let my prayer be set forth as incense before Thee;" in other words, let my prayer be completed and offered as censing before Thee. At the same time, the great censing of the church begins. Fr. John (now Saint – ed.) of Kronstadt liked to say, when speaking about the censer, that when the censer is burning and emitting sweet fragrance, the sweet-smelling smoke rises to the sky – "such must be your prayer, and if you see the censer cold, extinguished and emitting no smoke, no sweet fragrance, that is what our prayer usually resembles." That is why we pray: "Let our prayer be set forth," – let our prayer be fulfilled and arise as incense before Thee. Little children, when they hear this, don’t understand it very well. In monasteries and parishes, where the Typikon is observed more or less fully, after these verses excerpts from the psalms are read, although on feasts these are sung. Eventually we reach the verse, "Bring my soul out of prison, that I may confess Thy name." This verse is often heard at Sunday Vigils, as it marks the beginning of the singing of the resurrectional "stichera," i.e., separate prayers. The name "sticheron" remains from antiquity, when the majority of the services were composed, and the prayers were written in poetic verse. Now it is extremely rare to find stichera composed in poetic verse, but the name has stuck. Further, each sticheron is prefaced by a verse from the psalm. When there is a festal service, you can have up to ten stichera – on a daily service, six. When serving a daily service and you have six sticheral verses, that are sung by tone. I already spoke to you about how each Sunday, each week, has its own tone – eight in total. The verses are sung according to the tone of the week. But that is only the first three, while the second three verses are dedicated to the saint of the day. Sometimes that saint has been assigned the same tone, sometimes a different one. For instance, often in monasteries, to make it easier to sing, the tone is announced: "In the sixth tone, Lord, I have cried unto Thee, hearken unto me," and then they sing. Then, for the following verses, if in the same tone, they say "In the same tone: If thou, Lord, shouldest mark iniquities, O Lord, who shall stand?" Three verses are sung in this tone, followed by the verses for the saint; then they pronounce the tone (if it is different, for instance, fifth tone) and then sing the attendant verses. Sometimes, though, it is "in the same tone." After the singing of "Lord, I have cried unto Thee… Let my prayer be set forth," the verses are sung. The final verse is almost always in honor of the Mother of God. After the verse to the Mother of God, we sing "O Gladsome Light." I have lived 61 years on this earth, and not until I came to Australia did I hear "O Gladsome Light" read. In the hymn itself we hear "We praise (in Slavonic and some translations, "hymn" – trans.) the Father, Son, and Holy Spirit, God." I remember serving at our monastery in Lesna and saying that I was surprised that some of our churches read it instead of singing it. Every Vespers service says "We praise (hymn – trans.) the Father, Son, and Holy Spirit," (not read), and it is even called the "Evening Hymn." In the Lesna monastery, the Typikon is strictly adhered to, and the hymn is always sung. After the singing of "O Gladsome Light," the verse for every day, the prokeimenon, is exclaimed. After the prokeimenon is read "Vouchsafe, O Lord." This is, of course, always read, except on Pascha. During Bright week, all seven days of Pascha, "Vouchsafe, O Lord" is sung. Nothing should be read, except Holy Scripture, Epistle and Gospel. Therefore even the prefacing verses are sung. After this comes the Litany of Supplication: when the deacon or priest concludes a petition with "...let us ask of the Lord," the choir replies, "Grant this, O Lord!" 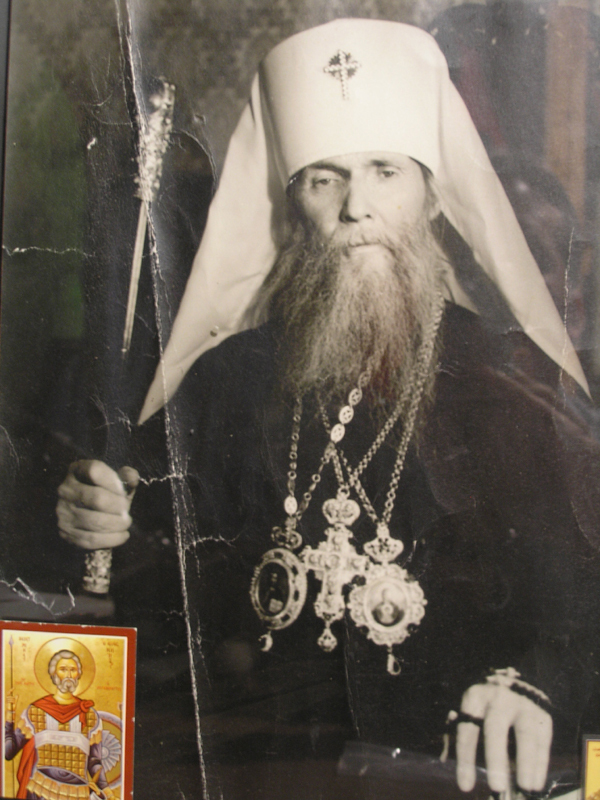 One Russian hierarch noted, "When we ask something, or children ask something of their parents, they put their whole soul into that request. But oft times the choir sings, ‘Grant this, O Lord,’ without thinking at all about how we actually want the Lord to grant it unto us, while the faithful doze in church – a very appropriate petition!" After the Litany of Supplication, the Aposticha are chanted, which also include psalm verses before the stichera. The verses for "Lord, I have cried" are sung after the Little Litany, while the Aposticha are sung after the Litany of Supplication. It too almost always ends in a verse in honor of the Mother of God. A prayer is then read, the words of which are taken entirely from the Gospel: "Now let Thou Thy servant depart in peace, O Master." I recall that in Harbin we would only sing this prayer once a year - on the eve of the Meeting of the Lord, at the Vigil, and on all other days we would read it. After "Now let Thou Thy servant depart" follow the prayers: "Holy God," "O Most Holy Trinity," "Our Father." After the exclamation, "For Thine is the Kingdom…" we sing the troparion to the saint whose memory we celebrate the following morning, then ‒ Glory, Both Now, and the troparion in honor of the Mother of God, called the Theotokion ‒ the dismissal troparion. Here the (Daily) Vespers draw to a close, the Litany of Fervent Supplication is read, and then the dismissal ‒ the final exclamation: "Christ our God, the Existing One, is blessed…" We call the dismissal the priest’s final exclamation, when he says that Christ is our true God, by the prayers of the saints (commemorated that day), will have mercy and save us, for He is Good and the Lover of mankind. Also, without exception, the parents of the Most Holy Theotokos ‒ the holy and righteous Joachim and Anna ‒ are always commemorated, as are the holy apostles. These are the Daily Vespers. The Small Vespers differ from them in that many of the prayers are omitted. There is no Great Litany in the Small Vespers, no Litany of Supplication, just the Litany of Fervent Supplication at the very end. And there are many abbreviations in the prayers, and very few sticheral verses. For example, during the full festal Vespers during a Vigil, before a Sunday, the prokeimenon "The Lord is king, He is robed in majesty" is sung four times, but during Small Vespers only twice. There are instances when Vespers are served at irregular times. Then they are combined with other divine services that normally follow them; for instance, on special days during Great Lent and Holy Week. Then the Vespers are combined directly with the Liturgy, sometimes with the Liturgy of the Presanctified Gifts, sometimes with the Liturgies of St. John Chrysostom or St. Basil the Great. I would like to remind you on what days we serve the Liturgy of St. Basil the Great. Ten days a year: the Eve of Nativity, the Eve of Epiphany, on the feast of St. Basil the Great, on the five Sundays of Great Lent, on Great Thursday and Great Saturday.